The Producer Price index in Germany has been flat therefore it influences EURUSD for today. Moreover the European Central Bank has some announcements to make about the interest rate as well. This pair has been fluctuating since the beginning of April not creating any kind of extreme bearish or bullish pattern. 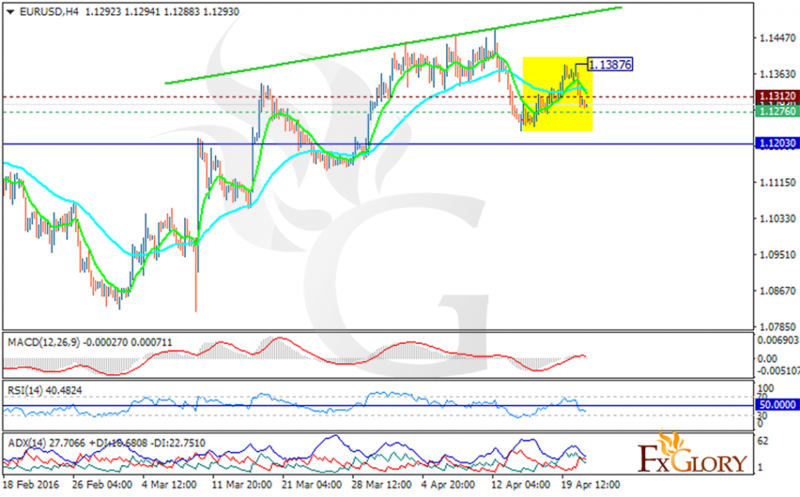 The support lies at 1.12760 with resistance at 1.13120 which both are above the monthly pivot point at 1.12030. On the downside, the support level breakthrough will be a good sign of the bullish pattern completion and turn the trend into a bearish one. The MACD indicator is in positive territory showing the price correction while the RSI and ADX are both signaling price decline. The EMA of 10 has already met the EMA of 50. There is no clear signal for this pair at the moment however the support level breakthrough will smooth the way for 1.1150.